The East Side, Hillyard and Indian Trail branch libraries were previously open for less than five hours a day. 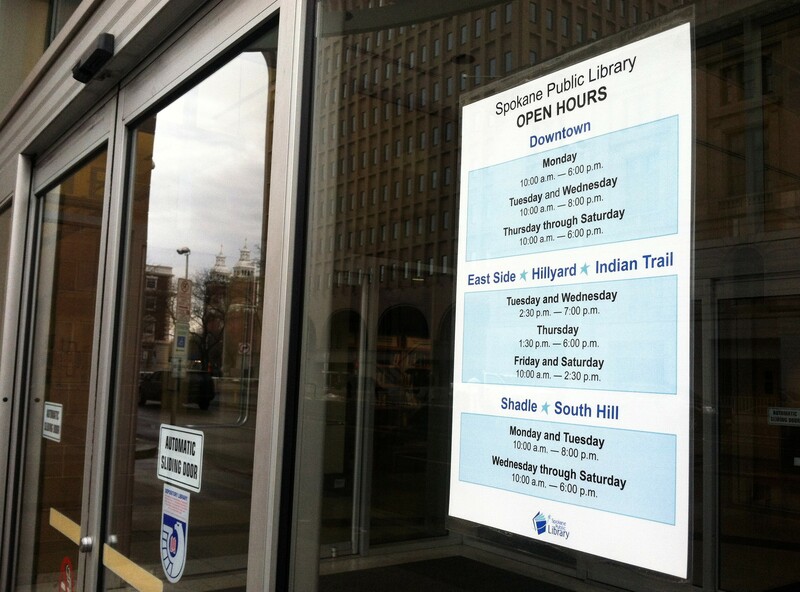 The hours at the downtown library, as well as the South Hill and Shadle branches, will remain unchanged. 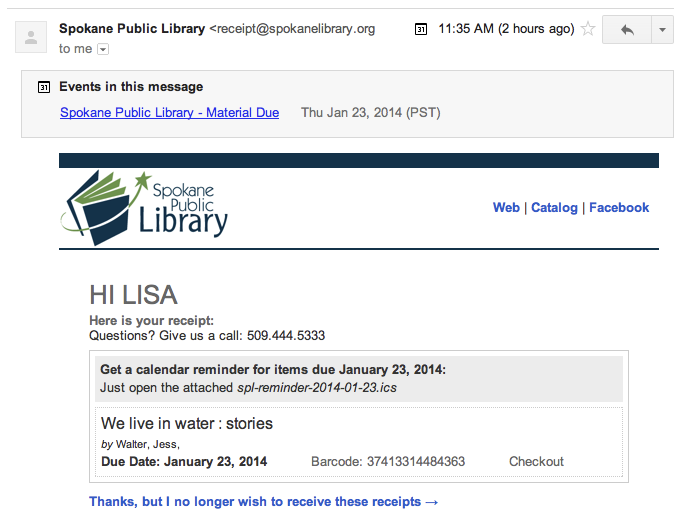 The Spokane Public Library has also started automatically sending a receipt by email when you check out materials. You can opt out, but here’s why you shouldn’t: The email includes an .ics file that can automatically add the due date to whatever online calendar system you use. If one of your New Year’s resolutions is to stop turning in books late, this is going to make it a whole lot easier.